Are Spice and K2 Addictive? Whether Spice and K2 are addictive. Signs and symptoms of a Spice or K2 addiction. Who Answers? to speak to a treatment support specialist. Using cannabis in greater amounts or over a greater duration of time than originally intended. Failing to quit using cannabis or to cut back on use. Spending an excessive amount of time getting and using cannabis. Experiencing intense cravings for cannabis. Failing to meet school, work or home responsibilities due to cannabis use. Using cannabis despite social or interpersonal problems. Choosing cannabis use in favor of pleasurable, social or occupational activities. Using cannabis in dangerous situations (e.g., driving). Using cannabis in spite of mental or physical health problems caused or worsened by cannabis. Tolerance: more cannabis is needed to get “high” and less desirable effects occur when the same amount of cannabis is used. Withdrawal: experiencing withdrawal symptoms once use is stopped and using cannabis to alleviate or prevent withdrawal symptoms. If you or a loved one exhibits any of these signs and symptoms, you may want to consider addiction treatment. Addressing the issue now can help prevent negative consequences from Spice/K2 abuse, including health, financial or social problems. Not everyone responds to the same treatment the same way. What works best for one person may not work for another and vice versa. It’s important that you educate yourself on the different recovery options so that you can choose what best suits your needs. Inpatient treatment: Inpatient or residential treatment commonly lasts for 30 days, 60 days or 90 days depending on your needs. Throughout this time, you live at the facility while receiving therapy and medical support. Outpatient treatment: You live at home while receiving therapy that you can schedule around your work, school and home obligations. Dual diagnosis: If someone suffers from an addiction to Spice and a mental health disorder, he or she should receive adequate treatment for both to prevent relapse. Dual diagnosis rehab centers use an integrated approach to treat substance abuse and mental health problems simultaneously. Individual therapy: You meet with a therapist and uncover the underlying reasons for your addiction while developing healthy coping skills to use when faced with a trigger or a stressful situation. Group therapy: A certified mental health professional will facilitate a group counseling session in which people share their experiences and feelings and work to correct negative behaviors. What Happens When I Get to Rehab? Below you’ll find information on what you can expect once you enter an inpatient treatment program. Outpatient programs will offer similar services, but you will visit a treatment center for a few hours at a time on certain days of the week instead of living at the facility. Detoxification: Medical professionals will supervise your withdrawal from Spice or K2 and try to make you as comfortable as possible. They may administer medications to ease the effects of withdrawal and monitor you for any medical complications. 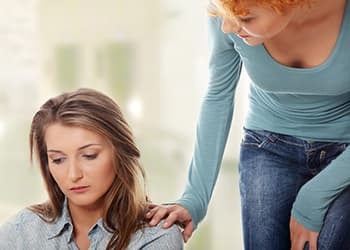 Mental health evaluation: A certified therapist will assess whether you have any co-occurring mental health disorders in addition to your addiction so that all conditions can be treated effectively. They will then work with you to develop a treatment plan with goals for your recovery. Individual therapy: You will meet one-on-one with a therapist to work on building coping skills to be used once you complete treatment. The therapist may also help you try to identify reasons why you began using Spice or K2 and how you can address these problems without drugs. Group counseling: You meet with a group of your peers to share experiences related to addiction while developing coping strategies and sober social skills. 12-step meetings: Many rehab centers incorporate 12-step meetings into their program. These are based on the Alcoholics Anonymous recovery program and include admitting powerlessness over your addiction, surrendering to a higher power and working through the 12 steps with a sponsor. Aftercare: Your therapist will devise an aftercare plan for you to follow once you complete your recovery program. This will help you continue to build upon the coping skills you learned in rehab and will decrease the chance of relapse. 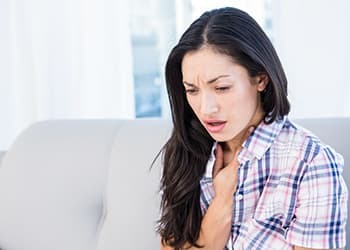 Chest pain, hallucinations, anxiety and seizures are potential side effects. Spice products may constantly change in chemical composition as illicit manufacturers scramble to avoid legal ramifications. As a result, the effects could be vastly different from user to user depending on which brand is abused. 1 This unpredictability is one reason that Spice is so dangerous to use and has been linked to countless emergency room visits. Long-term effects of Spice and K2 are currently unknown. But since Spice/K2 and marijuana act on the same brain receptors, the two may have similar long-term effects. If you need help choosing a rehab program for Spice or K2 addiction or have questions about what your insurance will cover, call 1-888-319-2606 Who Answers? today. A trained recovery support specialist is ready to take your call. If you don’t have insurance, call the Substance Abuse and Mental Health Services Administration’s toll-free helpline to get referrals to programs in your area that help people without insurance.
. National Institue on Drug Abuse. (2015). Synthetic Cannabinoids.
. Zimmermann, U., Winkelmann, P., Pilhatsch, M., Nees, J., Spanagel, R., & Schulz, K. (2009). Withdrawal Phenomena and Dependence Syndrome After the Consumption of “Spice Gold” Medizin, 106(27), 464-467.
. Brewer TL, Collins M. (2014). A review of clinical manifestations in adolescent and young adults after use of synthetic cannabinoids. J Spec Pediatr Nurs. 19(2):119-126.
. Center for BrainHealth. (2014). Study shows marijuana’s long-term effects on the brain.
. National Institute on Drug Abuse. (2015). Marijuana.
. Mir, A., Obafemi, A., Young, A., & Kane, C. (2011). Myocardial Infarction Associated With Use of the Synthetic Cannabinoid K2. Pediatrics, 128(6).